I get asked a lot for restaurant recommendations for special occasions, so when it comes to my own birthday, where do I go? Well, I wanted somewhere new, and since I’ve been to pretty much every restaurant offering halal I had to research. Steaks are really popular these days and I’ve been to and discovered most of them. A few years ago it was hard to find a good steak, but now they are very popular. However, what I’ve come to realise is cooking a steak is the simple part. It’s where the steak is sourced from which is now the most important question I ask and try and find out. Is it British? Grass fed? Aged?, What breed?, Is it Angus? You can cook a steak perfectly, but if it’s a standard cut of ribeye that has not been aged or reared in a quality fashion then it just won’t have that taste I’m after. What I’m trying to say is ask where steaks are from, what country and if they are aged. These are your big questions. I digress. 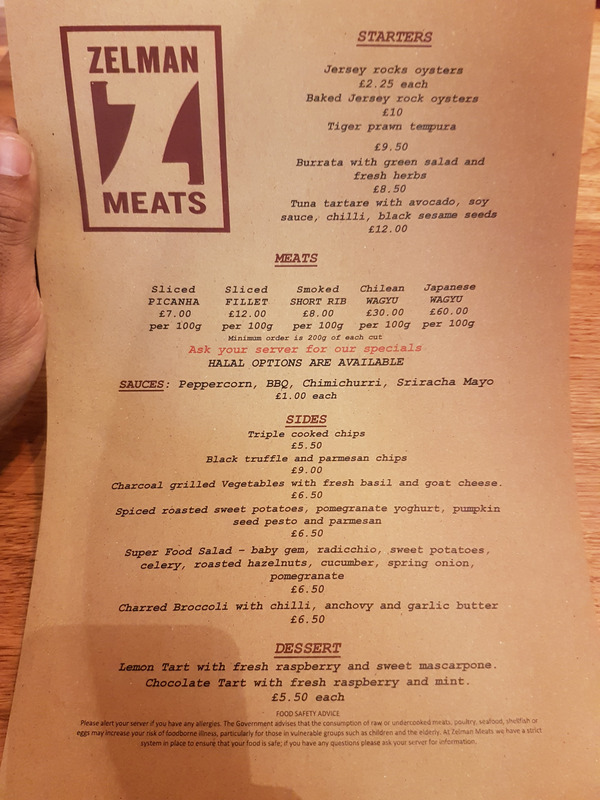 Anyway, I found that Zelman Meats in Harvey Nichols in Knightsbridge has a few halal options so I decided to go here for my birthday treat. Located on the top floor of Harvey Nichols, it’s part of a somewhat hidden food court that’s home to a few other restaurants. The area is very popular with the Arab world, so perhaps that’s why Zelman decided to cater for the market. 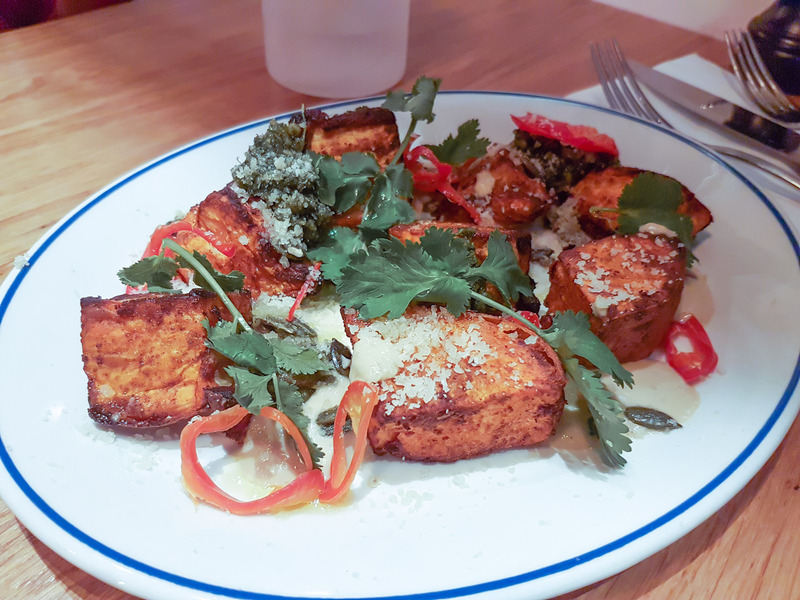 They offer up 5 halal options from the menu all with different prices. 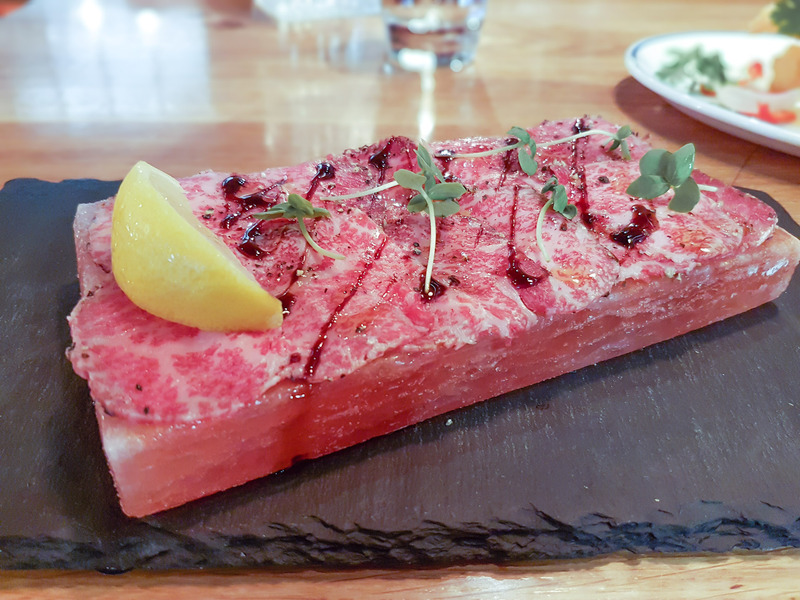 For starters, I tried something that I haven’t had before, cured beef, but not just any beef, high-end Wagyu from Japan. It was served on a block of Himalayan salt. This was like melt in the mouth beef sushi. A new experience and taste but I really liked it. Worth trying if you never had it before. Steak is priced and served pre-cut in 100g amounts. I decided to get 300g of Picanha, something I had before at Carne Cabana and loved them, so wanted to try again. Don’t be put off by the fact that’s it’s the cheapest cut, it’s, in my opinion, one of the best. There was so much deliciousness coming from the beef. It had a rich and robust beefy flavour. 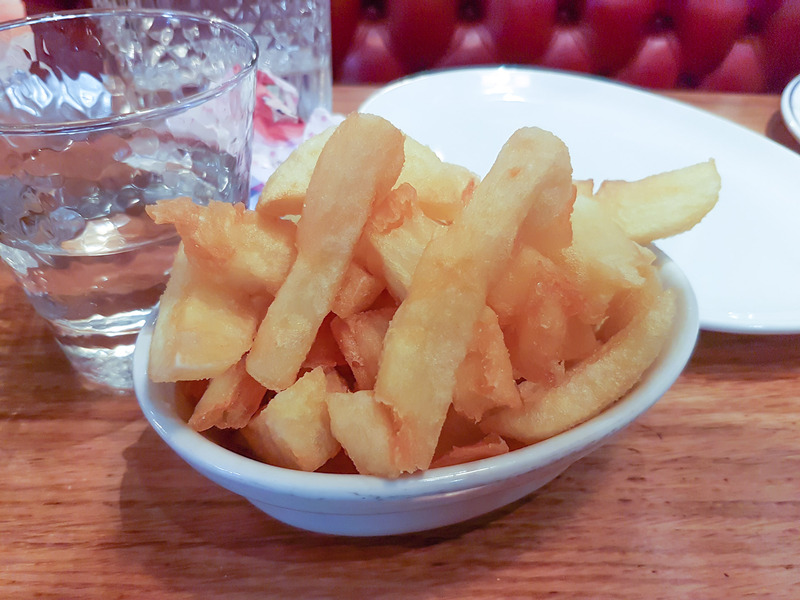 The intense taste comes from the melted fat that’s loaded with loads of flavour. 200g of fillet steak priced at £12. This cut had a richer beefy flavour, but despite being a little more expensive, I preferred the taste of the Picanha. I would definitely recommend the steak here and after eating here I can easily put this as my second favourite (behind Meat Co.) and I recommend this as a place to get a steak. In fact, if I were to pick a place to go for steak, I would go here, because of the value and quality. The cheapest cut I had was brilliant. There are also other choices but at £21 for 300g of delicious steak, it’s hard to beat. They have a large opening to view the kitchen at the back and I went and had a chat with the cooks to talk meat. Men talking about meat, yeah I’m manly like that. We had a good chat about cooking methods and where the meat is sourced from. 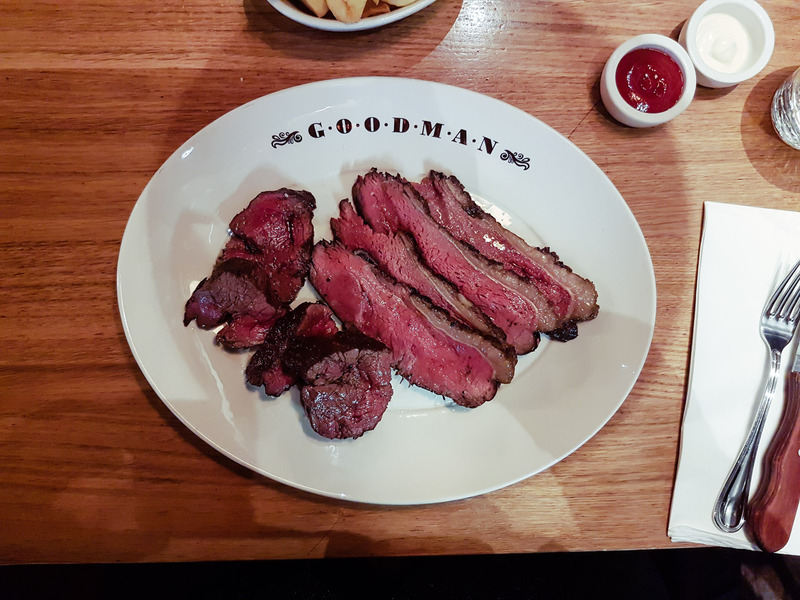 Hey Buddy!, I found this information for you: "Zelman Meats". 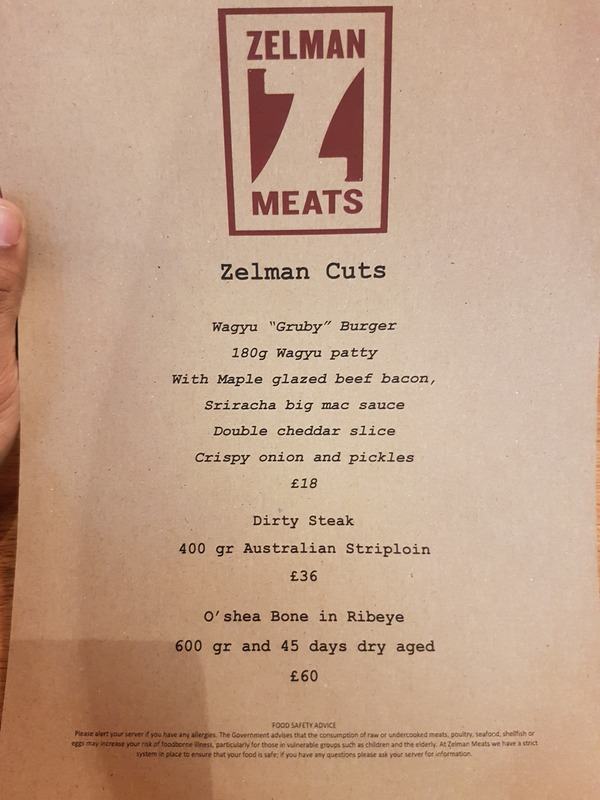 Here is the website link: http://halalfoodguy.co.uk/zelman-meats/. Thank you.